Online marketing is expanding daily, but if you are considering opening an online store there are a few things you need to know about online shopping portals for your business. 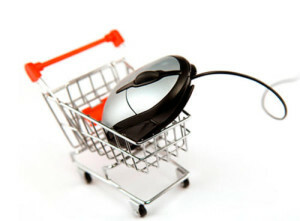 Portals are simply online presences that customers visit to buy your product. Think of them as doors into your brick-and-mortar store. As a matter of fact, many stores are opening online outlets to take advantage of the boom in Internet sales. There are many ways to start an online store, but they all start with a website. If you are good at designing Web pages and keeping them updated, you might do this for yourself. Of course, all the rules of Web design apply, and slow-loading “catalogs” or shopping carts will drive customers to competitors’ sites. In addition, you must manage shipping and customer service. This is time consuming, and even computer savvy business people will find managing all the intricacies of an online store challenging. If you are new to Web pages or are taxed with developing your product and other aspects of the business, a managed sever might be the answer. Typically these providers can design your site, host it, analyze your sales stats and manage your customer call-ins among other services. Some of these companies will even register your domain name for you. The problem with this solution is that you give up the control over how your business looks and functions, because most sites are based on templates. An alternative is to have a website built and then to add a stand-alone shopping cart to it. Entrepreneur states that you must also understand how to use the Internet to drive people to your store. Pay-per-click ads are one of the most efficient ways to do this, but you must have a grasp of keyword use and be able to write effective copy for your site. Imagine these ads as the sale signs on your business door to pull business off the street. The difference between your online store and the brick-and-mortar shop is that people will see the real store if they pass by it. Without exposure, an online shop can remain invisible. The “sharks’ have discovered the wisdom in offering free shipping. Successful megastores have good return policies. Where it is possible, they offer in-store pickup. Companies that have only virtual stores set up pickup depots. The “big guys” have mobile apps. Even restaurants have picked up on this one, and customers can order online before they arrive to eat. Recently Wal-Mart took on Amazon in shipping prices and schedules. Amazon is fighting back by offering other customer incentives. Of course, small business can’t hope to compete in all these arenas. If you have a solid product or service that meets a need and can present it online, deliver it and handle customer services, you can be successful. Online shopping portals for your business need not be as entertaining and as involved as those of big corporations, but they must be interactive and offer trusted service.